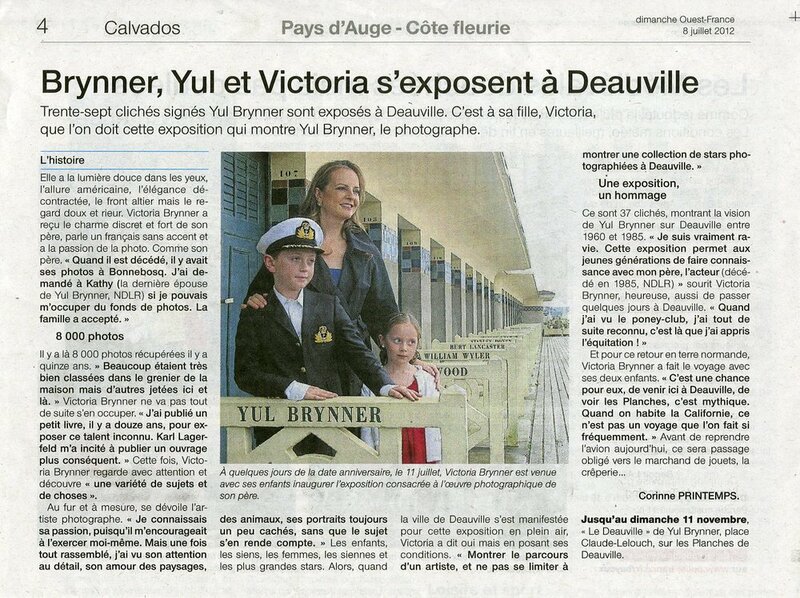 "Ces photos offrent, d'une part, sa vision de la vie de la ville, et d'autre part, des portraits de Liz Taylor, Robert Mitchum, Chaplin, Sinatra, ou encore Audrey Hepburn." "These pictures offer, on the one hand, his vision of city life, and secondly, portraits of Liz Taylor, Robert Mitchum, Chaplin, Sinatra and Audrey Hepburn." 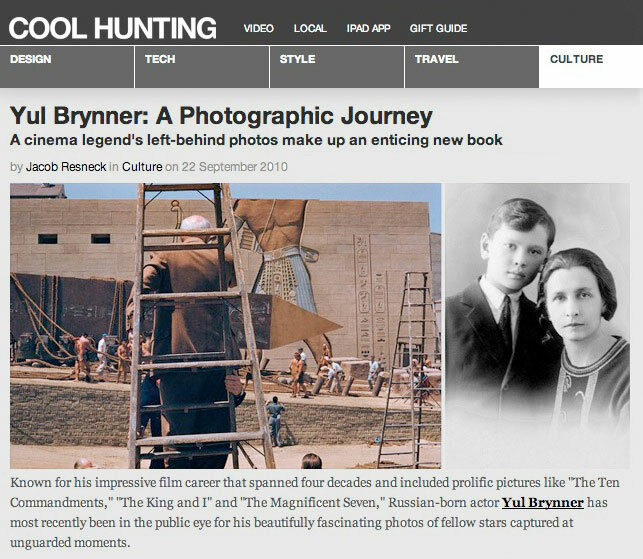 Yul Brynner: A Photographic Journey exhibition now on view at The Little Black Gallery in London. "Brynner's subjects are some of the pivotal figures of cinematic and stage history, and his talent lies in capturing these people and particularly actors at ease, both on and off set." "Sun-drenched, impossibly glamorous, a star everywhere you look. A film set? In the photographs of Yul Brynner, this was real life." Victoria Brynner remembers a holiday with her father, Yul, in 1972. "He was a brillant photographer; he documented life on set on every film he was in, and encouraged me to take my own." 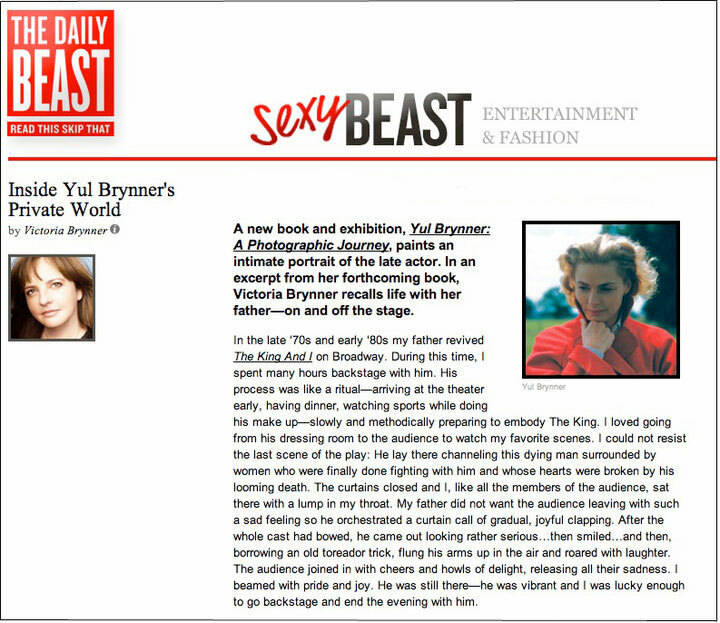 "As a new exhibition opens of the legendary late actor's intimate A-list snapshots, his daughter Victoria Brynner recalls growing up surrounded by the great and good of hollywood." To read the full press, please click here. 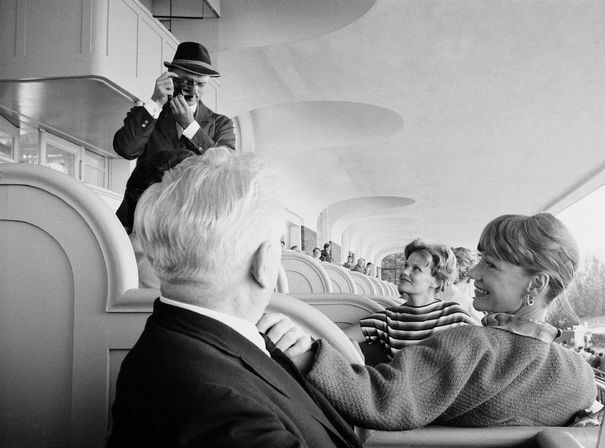 An exhibition of Yul Brynner's behind-the-scenes photographs is due to open in London. To view the full article and slideshow from BBC, please click here. "Hollywood greats, as seen by one of their own - Yul Brynner's life was nothing if not exciting."